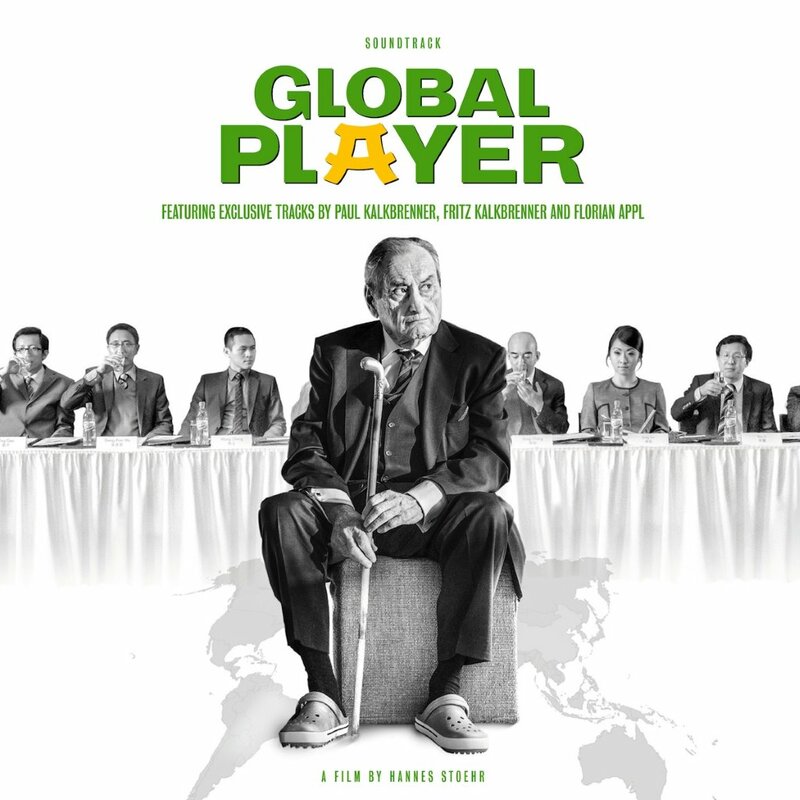 “Global Player” is already the fourth collaboration between Florian Appl and screenwriter / director Hannes Stoehr (“Berlin Is In Germany” (2001), Tatort “Odins Rache” (2003) und “One Day In Europe” (2005)). For his contribution to the movie “Berlin Is In Germany” Florian Appl even won the Rolf-Hans-Mueller Award for the best movie score. Paul Kalkbrenner and Hannes Stoehr aren´t strangers to each other since a long time as well. In 2008 Kalkbrenner starred in Stoehr´s Movie “Berlin Calling” and wrote the soundtrack of the same name, which won Platinum status in 2012. Fritz Kalkbrenner, who is currently on the road for his worldwide Sick Travellin’ album tour, sings the title track for the movie once again with “Willing” (just like he did in the track “Sky & Sand” for “Berlin Calling”). For “Global Player ” Hannes Stoehr took the opportunity of a collaboration between Florian Appl and the Kalkbrenner brothers Paul and Fritz. Out came a soundtrack which impressively and elegantly compounds classical music, melancholia and dance floor, hence between young and old. On this soundtrack you will find already well-known compositions by Fritz and Paul – newly interpreted with assistance of the Babelsberg Film Orchestra – as well as parts of the movie score with remixes by the two brothers. All things considered just imagine Paul and Fritz Kalbrenner and Florian Appl playing music with the Babelsberg Film Orchestra to living pictures by Hannes Stoehr. “The film GLOBAL PLAYER draws strength from its contrasts: The past of 90-year-old Paul Bogenschuetz versus the present in which Michael Bogenschütz and his siblings live; the small town Hechingen versus the metropolis Shanghai. We found it musically appealing to mix classical with electronic music let these contrasts communicate with each other and merge.